...Seattle's Rice also contributed a seven-channel installation titled V-Mail that stars his cousin, Kevin Gray, who was 10 years old last year when he agreed to serve as a talking head. 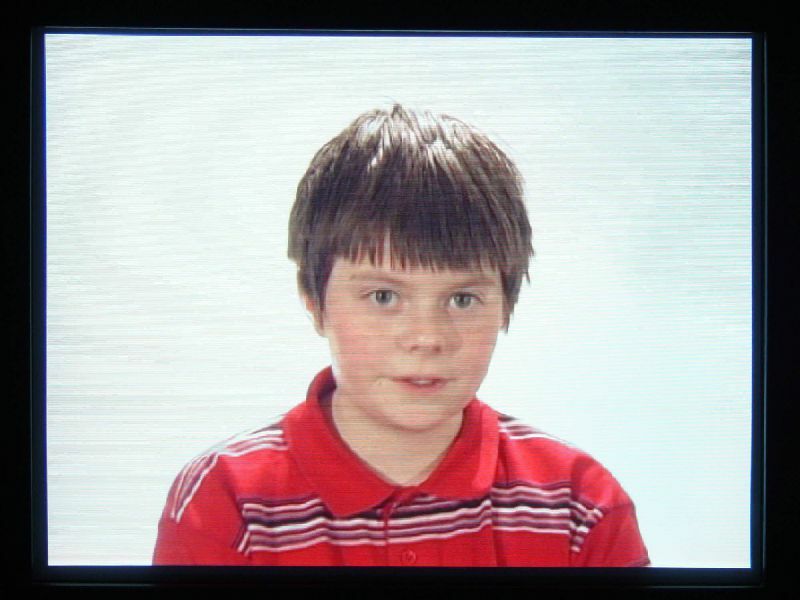 Each screen features Gray's fresh young face. 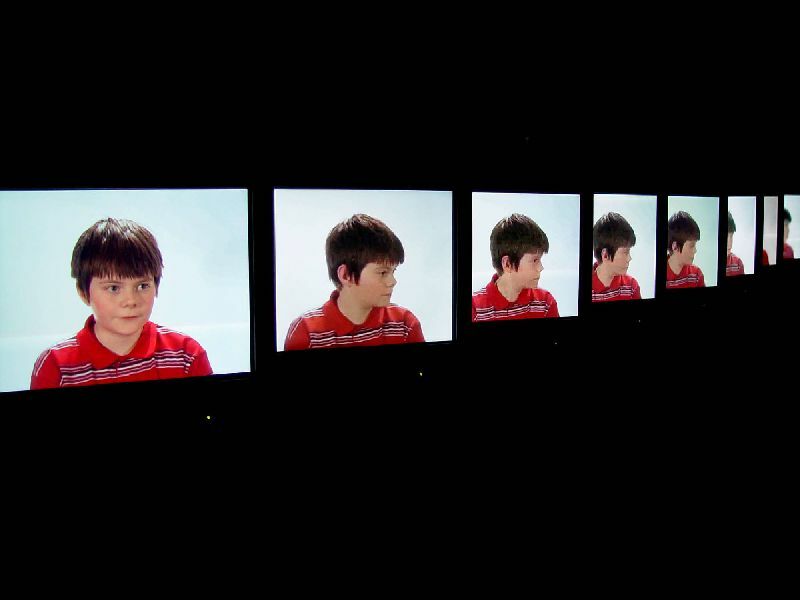 As he recites fragments of an old family letter, Gray turns to look at himself beside himself reading the same fragment, and so on, across seven screens. 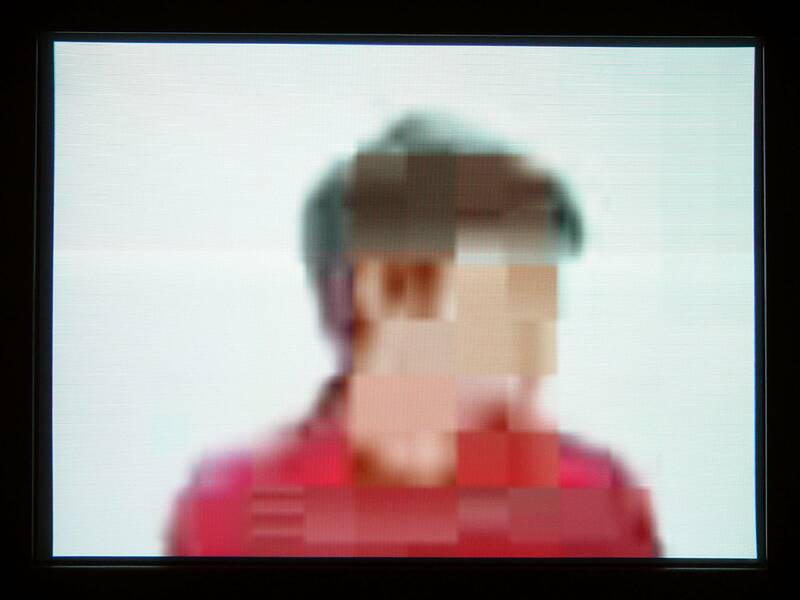 As the narrative stutters in repetition, the boy's image begins to pixelate into obscurity. The text is anti-war. Three generations after Gray's grandfather first read it, we're still at war. Early in the past century, T.S. Elliot wrote, "In my beginning is my end," which could be the title of this piece. Excerpt from Lawrimore artists spin different realities from the same theme.